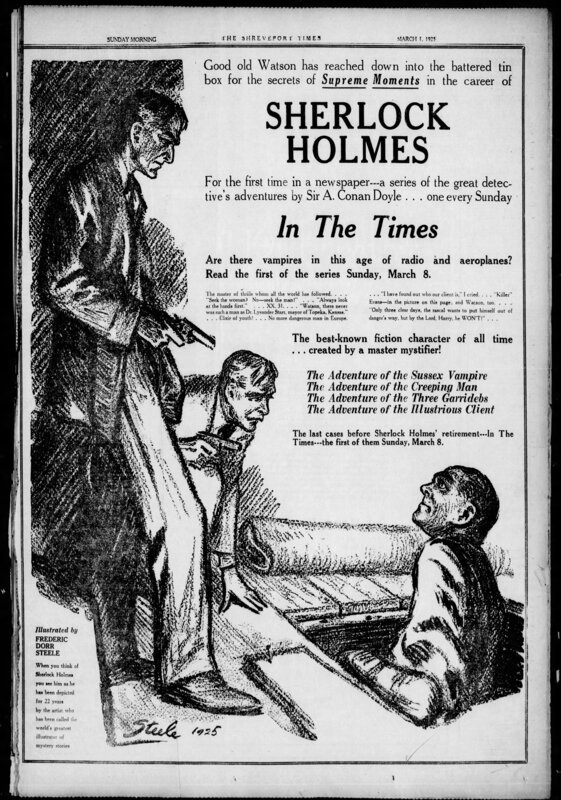 In 1925, Arthur Conan Doyle published the stories that would make up the Case-Book and arrangements were made to syndicate these stories to U. S. newspapers. 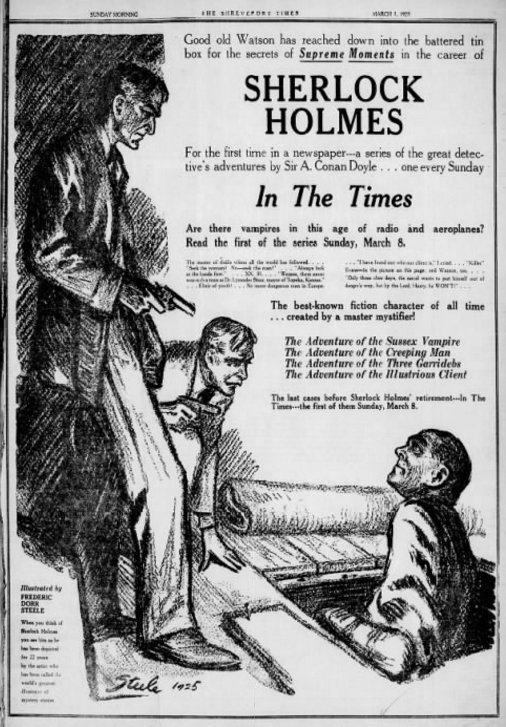 Above we have an adverstisement from the March 1, 1925 issue of The Shreveport Times of Louisiana promoting that they would be publishing four stories, beginning the following week. The Three Garridebs would be the third installment in the series. The interesting thing about the ad is they use a Frederic Dorr Steele drawing from The Three Garridebs as an illustration. 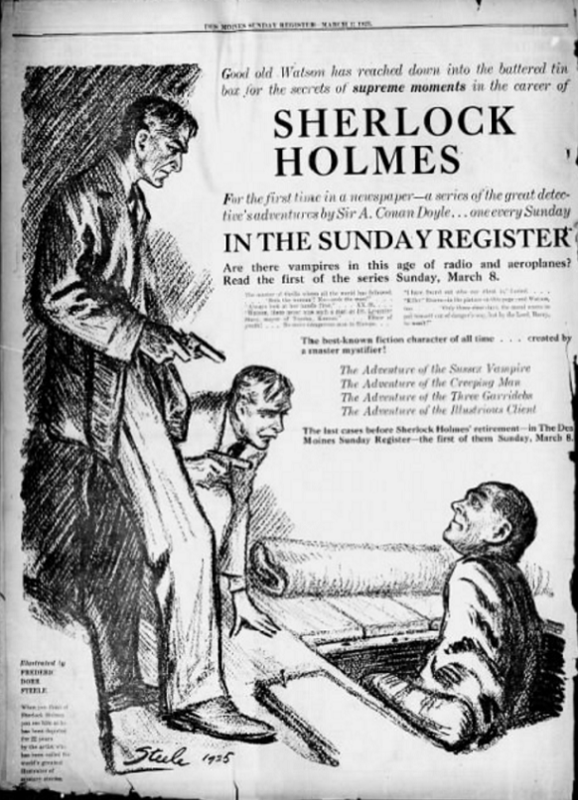 This is the scene where Holmes and Watson surprise Killer Evans coming up from the crawlspace (with a counterfeiting press) in Nathan Garrideb’s home. 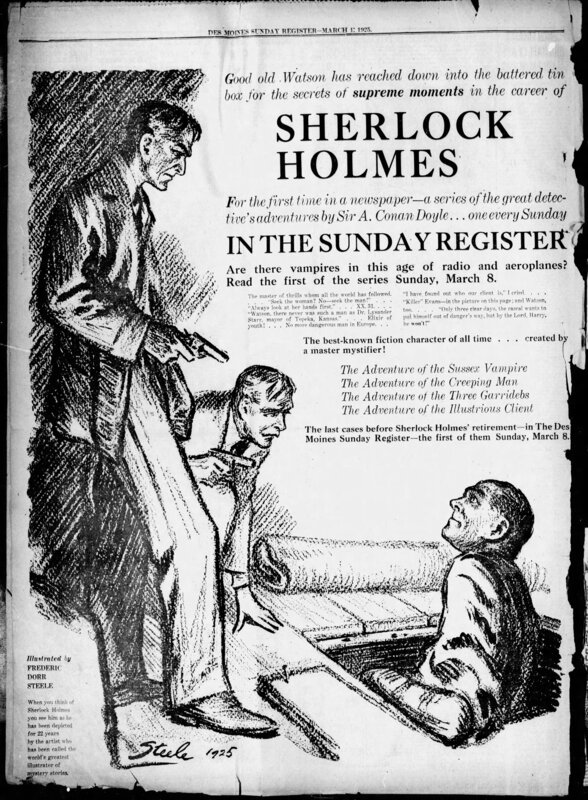 This illustration is rarely seen as only The Los Angeles Times used this illustration when they published the story, and then the illustration is split over two pages. The Des Moines Register of Iowa also promoted the upcoming series of stories on that same day, with a slightly different worded ad below. You can double-click on these two photographs to view a larger image.